A start-up that allows members of local communities to voice their opinion on planning and environmental issues has raised £243,000 investment, led by angel networks Clearly Social Angels and Angels in the City. 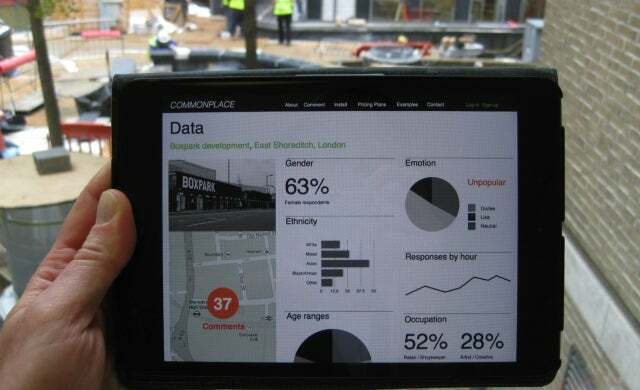 Founded by Mike Saunders, Commonplace operates a map-based website and mobile app which allows residents to comment on their local environment, be consulted on planning and building works, and voice their opinions on the future of the neighbourhood. Users log in to Commonplace and rate certain areas, with the ability to respond to comments and questions. It is intended to be used by housing associations and local authorities to involve local residents in community regeneration work and building projects. Commonplace said its service aimed to solve the “significant issues” involved in local planning, by putting the entire process on a single platform and reducing the risk of “hijacking” from unscrupulous property developers or lobbying groups. The £243,000 investment comprised backing of £50,000 each from City of London-sponsored angel network Angels in the City and social-focused consortium Clearly Social Angels, alongside £50,000 from The Big Venture challenge, an investment fund and accelerator programme for social ventures run by UnLtd. The remaining funds came from a group of private angel investors. Commonplace’s service is already being used in 20 communities across London, including the Poplar district in Tower Hamlets. Robert Lansbury, of the Poplar Housing and Regeneration Community Association (HARCA), said: “[Commonplace’s] information is now being used to influence decision making about new community projects and developments. Mike Saunders, founder and CEO of Commonplace, added: “Public consultation is both a huge market and a major social challenge, which we aim to address using tools of the digital era. via Clearly Social and Angels in the City lead £243,000 investment into social start-up Commonplace – Startups.co.uk: Starting a business advice and business ideas.